Following a summer of live interventions and events at Castlefield Gallery (Manchester), we are pleased to present AND A 123, including performance series Not a Decorator (2016) by Lisa Watts, new live art from Belgium based artist duo CMMC, and Castlefield Gallery at The Manchester Contemporary for the autumn season. AND A 123 will showcase work by artists from across the UK that explore relationships between everyday objects, routines, repetition and spectacle. Lisa Watts’ latest body of work Not a Decorator, is a project informing Watts’ research on the possibilities for performance presentation in gallery settings. Not a Decorator was first exhibited and performed at SIA Gallery (Sheffield) in 2016, with Watts now touring the piece to Castlefield Gallery and on to John Hansard Gallery (Southampton). Each venue offers Watts ranging contexts in which to test and explore her enquiry, with Not a Decorator building on over two decades of her practice. 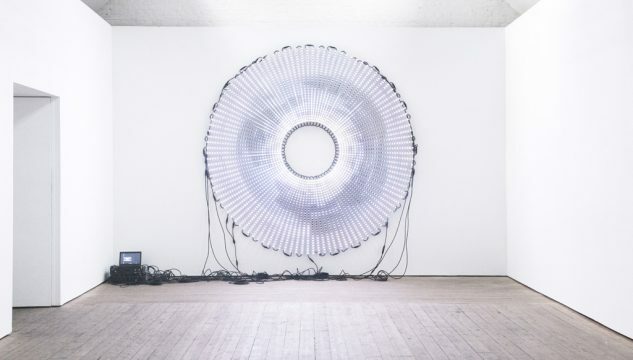 Watts’ live artworks entail the artist using minimum levels of physical manipulation of her performance materials, allowing everyday objects to often perform themselves. Her simple, repeated gestures, unlock the beauty and the spectacular in what are otherwise mundane items. Revealing the sublime in the everyday by employing repetition and routine as her methodology. At Castlefield Gallery the themes and ideas emerging from Watts’ work have catalysed the group exhibition AND A 123. 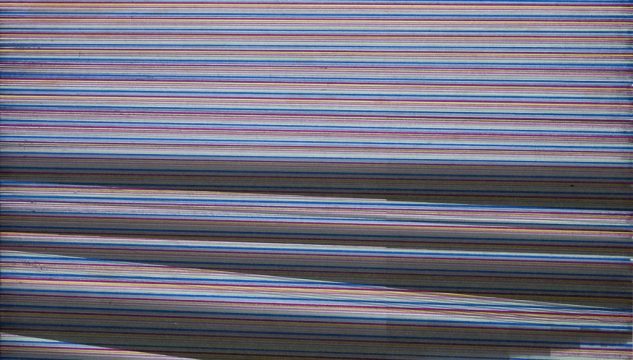 Artist Russell Hill will present Marion III (2017), a piece that will cover Castlefield Gallery’s walls with toothpaste, in the form of the iconic blue, red and white Aqua Fresh stripes. Hill employs a stucco technique, normally produced with fine plaster and used to coat wall surfaces or mould into architectural decoration. 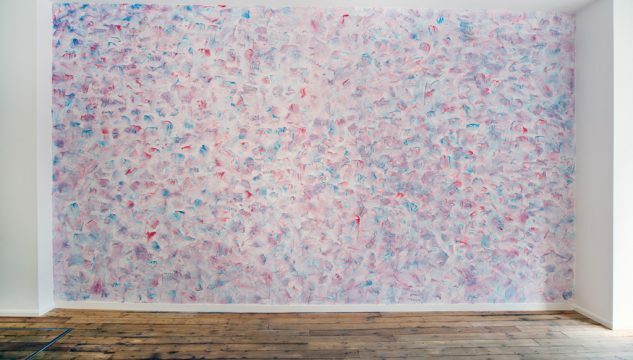 Formed into a grand mural reminiscent of the gestural impasto techniques of post-war abstract painting, Hill’s work conflates the everyday with the momentous. Commissioned by Castlefield Gallery in 2013, Nina Chua developed a public artwork for the gallery’s external facade. The building’s metal shutters wrap the gallery when closed to the public, and have been transformed by Chua’s signature compositions of line and colour. Over the past four years this work has been part of the gallery’s daily opening and closing routine, and likely the routine of the gallery’s immediate community. For AND A 123, in the gallery Chua will exhibit works on paper developed as a result of her conscious embracing of the capacities and constraints of her materials. Through repetition Chua allows her materials of pen on paper, to determine her work. Repeated lines drawn with a 30cm ruler, the size and type of paper, the coloured marker pens running out of ink; although seemingly restrictive, reveal the infinite potential and beauty that can result from simple repetitive actions and basic materials. 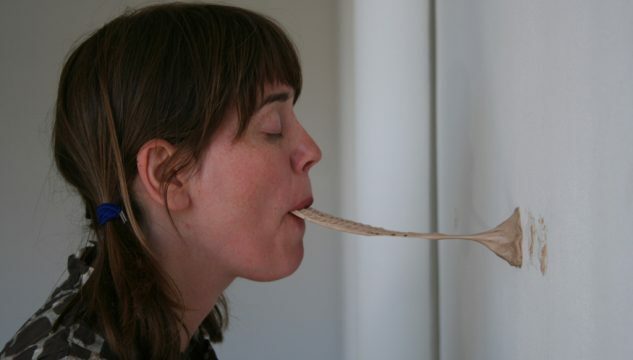 Artist Maeve Rendle works with performance and video. AND A 123 will include the video installation Either Or (2017). The piece begins with a working interpreter speaking aloud a line from Samuel Beckett’s libretto Neither (1977). From the first audible utterance, an exercise in listening, understanding and articulating is set in motion. Over a period of time different voices are heard searching for an accurate translation of the words they are hearing in English and in French. Beckett used self-translation to reduce his work to its essential elements: in Rendle’s work it is the interpreter that decides in the moment what the essential elements to translate are. In this work Rendle uses repetition to aid misinterpretation leading to varying individualised versions of the original text. Artist Oliver Tirré’s Practice Surfaces (2015) are formed by layers of watercolour being applied to gessoed panels, wiped ‘clean’ between each application. The process stains and marks the surface of the panels, with Tirré repeating his actions until the surface is filled. Like Chua, Tirré allows his materials to inform how far the work is taken. Exhibited laid flat on a plinth made to the same dimensions of the artist’s desk, his Practice Surfaces can appear unfinished, open ended, perhaps still to be worked on. David Rickard’s C (2016) is a hacked LED advertising facade that depicts a manipulated seascape. The distorted image forms a circle, forcing the waves in the seascape to wash onto a core of what becomes an endless shore at the centre of the screen. Ordinarily designed to be viewed from significant distances, the gallery space forces a close up encounter with the image. For the viewer the resolution breaks down into flickering light, obliterating the seascape, leaving behind the spectacle of technology alone. Noel Clueit’s Run in / Run out (2016) is an ongoing series of recordings from every record played in the artist’s studio. Split over two recordings the first is a collection of samples from the run in groove of the A side of each record, the second is a collection of the usual fade out of the last track on the B side. The recordings differ significantly, the first holds a more rhythmic pattern whilst the second creates a swelling, abstracted soundscape. Run in / Run out explores ideas around procrastination and repetition, as nothing gets to start, nothing is ever finished, yet when displayed in the gallery the incomplete elements become temporarily whole. In October 2017 Castlefield Gallery will take part in The Manchester Contemporary (TMC), the only fair of critically engaged art of its kind outside London. During TMC Castlefield Gallery will extend its programme beyond the gallery into its city centre New Art Spaces, inviting Belgium-based performance artists CMMC (Céline Mathieu and Myrthe van der Mark) to present new work, and for the first time in the UK. In their live works CMMC incorporate poses, movements, and text to create moments of what they term as ‘synchronized randomness’. Often durational and site responsive, their work intertwines relatively mundane everyday actions and gestures with grander literary and art historical references. Castlefield Gallery | Agency is part of Arts Council England’s National Portfolio, a Manchester City Council Cultural Partner. Additionally, in July 2016 it secured funding from Arts Council England’s Catalyst: Evolve fund, a new initiative from Arts Council England that aims to support arts organisations to grow private giving and build resilience. Money raised from new sources will be matched by the Arts Council via the fund over a period of three years, up to August 2019. Thanks also to Creative Tourist, G.F Smith and Fred Aldous for their continued support of our main gallery exhibition programme. AND A 123 has received additional support from VML Technologies BV and ADLF Ltd.